It’s often easy to skim over your corporate brand. Maybe your company has been in business for decades and you assume you have a brand already, or your business is fairly new and three years ago you set out with a mission statement, so you should be set. Right? Let’s try an exercise to see if you are actually set. Who was the first president? George Washington, of course. But who was the fourth president? What about the eighth? The easy way to stick in someone’s mind is to be the first. The hard way is to be second (or fourth, or eighth). In his book, Positioning: The Battle for Your Mind, Jack Trout clearly states, “If you didn't get inside the mind of your prospect first, then you have a positioning problem." A positioning statement begins by diving deep into exactly who your customers are and where they’re located. You may think your target market consists of engineers, but there are millions of engineers across the nation. Or, you may think it’s always best to start your sales discussions with a VP of Engineering, but your sales team spends 90 percent of its time trying to get time with VPs who don’t understand the value of your product. Complete positioning goes further than a target market of engineers or VPs, brainstorming about successful sales interactions and product interest, gaining feedback from users and partners. Through these discussions, you could come to realize something more specific; for example, you could learn that your products are understood and needed by embedded software engineers creating UIs that are at the core of a product’s success. With this audience definition, your sales force becomes better equipped, knowing exactly what type of customers they’re to target. They know where those customers are and can focus on them directly. Similarly, your marketers know, for example, which trade shows to prioritize because they can easily go where your target audience of potential customers goes to learn about industry products and trends. 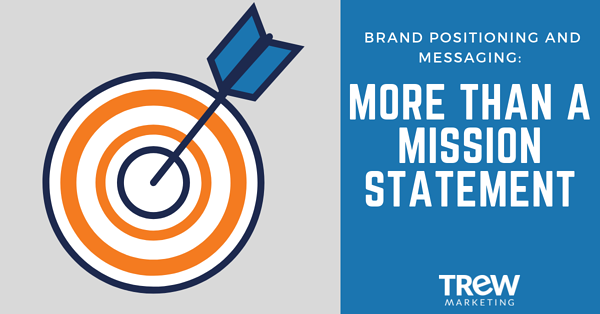 A clear positioning statement talks first about the problem your target audience is trying to solve before it presents the solution. For a client Silex Technology, we worked to define a precise target audience and the challenges that audience faces. It became clear that their audience is made of the technical decision makers in businesses centered on devices with wireless connectivity. The greatest fear of these decision makers was implementing technology that wasn’t reliable – they knew it could cost their business if they implemented a solution that a consumer couldn’t trust. Through hours of discussion and multiple drafts, we used this information to define the clear pain points of every customer they work with: that those customers need a partner with proven design experience and wireless technology knowledge, and they need that partner to develop a connectivity solution for the device they’ve created. We then used the understanding of these pain points to drive the rest of their positioning statement and create an outflow of messaging that shows Silex knows the core pains of their audience. 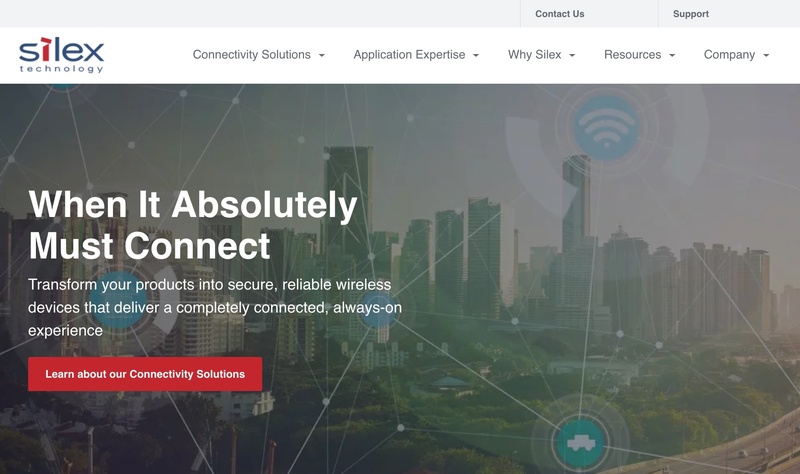 Silex's tagline, "When It Absolutely Must Connect", speaks to their customers pain points while also telling exactly what Silex's products do. When potential customers see messaging that understands and affirms their challenges, they’re quickly assured and more confident in a company, and that the company’s solutions will directly address their most critical needs. With this pain-point-centric message defined, you can now discuss what you offer. This step gives you the chance to define what you do, whether that’s products or services, and how you do it differently from your competition. A corporate positioning statement is not the place to describe each and every product you make, but to define as a company what types of products you make or services you provide. This approach will give you the freedom to add or modify specific products or services over time without having to change the core positioning and “who you are” as a company. That said, when you’re pinpointing what you do and how you’re different, you should take into consideration future possible products and ventures and make sure they fit under the definition you’re creating about what you do and how you do it. If future ventures don’t fit, the positioning statement gives a good checkpoint for you to ask: Do these new ventures really match the specific market we know? Are our customers even asking for these products? Do we have the expertise to transition into this product/service/industry, etc.? What percentage of next year’s revenue is expected from new vs. existing customers? Are we more often introducing ourselves, or nurturing existing clients? Do we have expertise in a specific industry? Does our industry expertise translate to other industries? Do we have partner relationships that others don't? What benefits do they provide? Do we have legacy experience, patents, or credentials that set us apart and are relevant to our audience? What is our greatest opportunity in the next 2 years? Why is that such a great opportunity? What do we want to become the next five years? How does our customer functionally benefit from what we sell? How does our customer emotionally benefit from what we sell? What are the top three reasons customers initially bought our products or services? Why do our customers return? What do customers value about their relationship with us? What type of work do we most enjoy? Do we have any processes that are particularly impressive to customers? What is the typical sales cycle? What values, personality, and attitude do we want to project? When people think about our company or product, what are the feelings and associations we want them to have? What is our corporate culture? Is it different than others in our field? Does that affect our customer interactions in a positive way? What are some specific applications where our products have been used or specific services we have offered that showcase the depth or breadth of our expertise? If people tend to trust us already, how do we take that trust up three or four notches? Once all of the elements of your positioning statement are complete, you can identify the tone of your brand and communicate it in a voice that reflects your corporate culture and personality. “Tone” is the mood or feeling if your brand, while “voice” is the style of your writing. For a highly technical company with system integrator, Vertech, their tone is fun, while still speaking to technical professors. Vertech keeps a fun and technical tone throughout their marketing programs. Check out their website here. What good will your messaging be if it is stuck on a page lost in a file on your server? TREW Marketing aims to create positioning that is portable. Your positioning should be easily transferred into corporate “about” page content, news release boilerplates, pitches for partner sites, sales slides, and more. With your newly defined corporate messaging, you should have a clear brand that can be easily communicated by anyone in your company without hesitation. One benefit of a distinct brand messaging process is the assurance that all of your external audiences are hearing the same message from your teams. Team: You’ll need to create a Branding Committee with a total of 3-5 people. These people should know your company’s core purpose, vision, products/services, and audience. They will also become your brand ambassadors who know the brand from top to bottom when the process is over. If your high-level executives are removed from your target audience, consider including a lower-level engineering director who has specific insight into your audience and their pains, and who will be a strong brand ambassador. Process: There will likely be homework before the process starts and then a kickoff that can last from 2-4 hours. The messaging will go through multiple drafts, each discussed as a group with TREW Marketing and your internal Branding Committee. Much information is gleaned from these discussions, and the TREW team comes armed with questions and research. Sometimes clients wish to add in additional competitor research or customer interviews to fully understand the market or audience they’re working with. Final Deliverables: Once the reviews are complete, every positioning and messaging project includes a positioning statement, corporate pitch, and final “About Us” content that’s ready for your site. Optional deliverables include a tagline, pitches for specific audience, or industry segments, corporate slide decks, and specific product or service messaging. To get started with your brand positioning and messaging, download our free ebook, "Smart Marketing for Engineers: Build Your Foundation." This blog updated from its original publication on August 4, 2015.